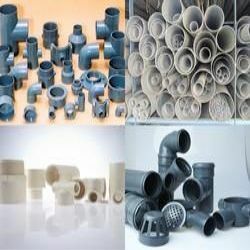 Dynamic business entity "Pooja Trading Co." Located at Mumbai, Maharashtra is a trusted and reliable name in the industry of pipes and pipe fittings. Based in Mumbai the financial capital of India we are a noted supplier and trader of high quality UPVC plumbing systems ASTM plumbing systems UPVC pressure and non pressure pipes SWR piping systems water storage tanks bathroom fittings FRP manhole covers plumbing pipes etc. All these products are sourced from authentic market players including Sintex Marc Prince Pipes to name a few. Our range also includes malleable iron pipe fittings roof water pipes accessories ball valves and many other products. 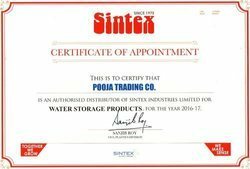 We are authorised dealer of SINTEX, PRINCE & THERMO DRAIN for MUMBAI, NAVI MUMBAI & THANE DISTRICT REGIONS only. At our premise all the products are regularly checked for discrepancies to weed out errors before dispatching them to the market. Our purchase department is well supported by an expert team of professionals having an extensive expertise in the concerned discipline. As a quality conscious concern we adhere to a strict quality management system at all levels to ensure flawless production. By leveraging our wealth of experience and knowledge we want to deliver only top class items to our clients. Pooja Trading Co. offers a wide selection of pipes & Fittings & Electric Wire for varied applications. We are a distinguished supplier and trader of high quality UPVC Plumbing Systems, ASTM Plumbing Systems, UPVC Pressure and Non Pressure Pipes, SWR Piping Systems, and many other items. 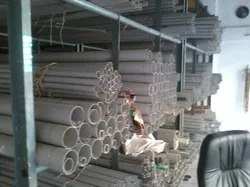 Solvent Weld Pipe & Fitting. 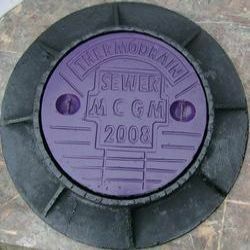 FRP Manhole Covers & Gratings. 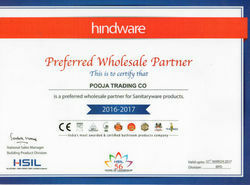 HINDWARE SANITARY WARE & FLUSH TANKS. Right from the very first day of our inception, quality has been our foremost concern. 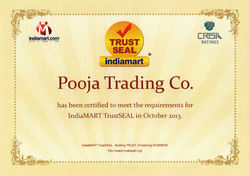 We maintain a stringent quality policy for ensuring customer integrity with us. Procured from reliable manufacturers, our products are also environment friendly and UV resistant. We are well supported by an experienced team of professionals having decades of experience in their respective disciplines. 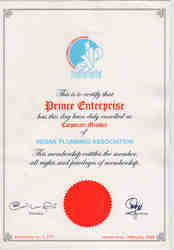 We are corporate member of Indian plumbing associations. 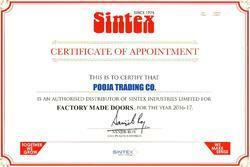 WE ARE AUTHORISE DISTRIBUTOR OF SINTEX INDUSTRIES LTD.
We are authorise distributor of Factory Made Doors. 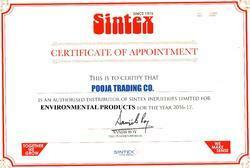 We are authorised distributor of Environmental Products. Sound Setup: We possess all the requisite infrastructural abilities to carry out every task efficiently and perfectly. Our spacious storage facility is capable of storing goods in bulk quantity, thus providing us the capability to feed bulk demand under tight deadlines. Excellent Human Resources: Our team comprises of experienced and qualified personnel having an extensive expertise in their respective disciplines. World Class Products: Our impeccable quality products enable us to establish ourselves as one of the most preferred suppliers in our domain. We offer a range of superlative UPVC plumbing systems, ASTM plumbing systems, UPVC pressure and non pressure pipes, SWR piping systems, water storage tanks, bathroom fittings, etc. at highly economical prices. We provide the excellent quality. We are very efficient on-time deliveries. 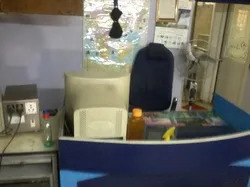 We provide our product in economical prices. We provide the transparent trade practices.